With the reintroduction of heirloom tomatoes, there are a variety of colors, shapes and sizes of tomatoes to choose from – from sweet to tart. 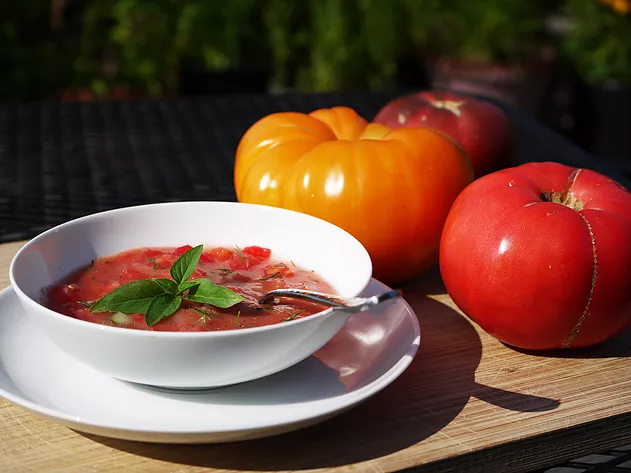 Enjoy this simple tomato gazpacho. Serves 8-10 small appetizer portions. Better to set some of the veggies aside and add them to the soup after the pulsing.